Raspberry Pi (RPi) is a low-cost, portable, credit-card sized computer (board) that plugs into a monitor or TV and uses a standard computer and mouse. It is mostly used by people of all ages to explore computing and learn Scratch, Python and other programming language, though it is capable of performing other things such as browsing the internet, playing high-definition video, making spreadsheets, word-processing, and playing games. Raspberry uses the Linux operating system and many of Linux OSes are optimized for Raspberry Pi. The most popular Linux operating systems, Raspbian and Pidora works well with Raspberry. Model Pi 3 A+ has 1.4GHz 64-bit quad-core ARM Cortex-A53 CPU and 512MB LPDDR2 SDRAM while B+ has 1 GB SDRAM - shared by the GPU and CPU and Broadcom BCM2836 SoC, with quad-core ARM Cortex-A7 900 MHz processor. Rasberry Pi also has a variety of outside applications including in digital maker projects such as in weather stations, music machines, and tweeting birdhouses with infra-red cameras, etc. There are two models of Raspberry, namely A and the B with A parking 256MB of RAM and one USB port while B comes with a second USB port, an Ethernet port for connection to a network, and 512MB of RAM. A+ and B+ are the respective upgrades of A and B models with increased number of USB ports and improved power consumption. Raspberry can be used for cryptocurrency staking, masternodes, and mining, especially for new coins with friendly algorithm and low difficulty. 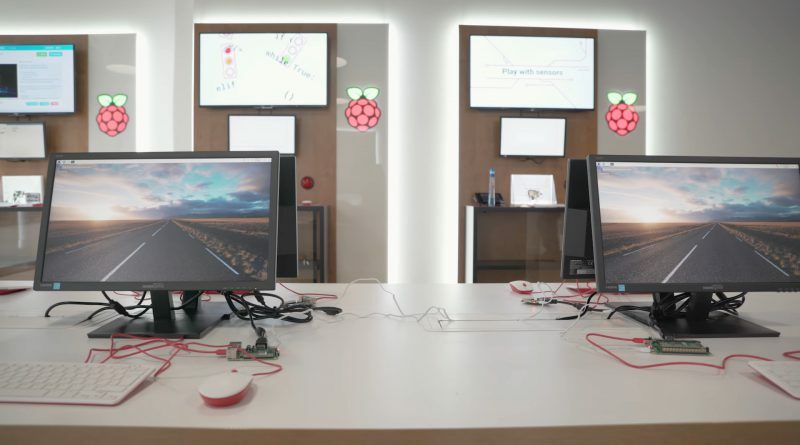 You may have been wondering how to use your present Raspberry Pi for each of these activities or are looking for a Raspberry for any of these. This posts explores each of these possibilities. Staking, as you may know, is a great alternative to mining as a way of earning passive income in crypto and it is also possible to stake on crypto coins on a Raspberry Pi, which costs as low as $35 to buy. And for those who already know the Raspberry Pi, it is possible to do staking on it for any proof of stake coin or coin using Proof-of-Stake algorithm. The Raspberry pi 3 with 32-bit ARM build for Linux and its GUI usage matches that of other systems. The Pi 2 Model B also works well as reported by those using it for staking. It generates considerable profits and is recommended. Having said that, there are two options to go for those contemplating using RPi for staking: first one is buying a custom made staking RPi. Most coins with staking ability also have collaborated with StakeBox to produce and offer for sale, a Raspberry Pi custom-made for staking their coins and these are up for sale either on StakeBox or the cryptos' websites or on other places like ebay. These devices are called custom branded staking kits. Coins such as QTUM, Reddcoin, CloakCoin, Pinkcoin, Whitecoin, Denarius, and Neblio are some of those who have partnered with StakeBox to launch and sell custom branded staking kits that you can buy and avoid the hustles of having to set up the Raspberry for staking yourself, which requires some level of knowledge, but can still be done by following easy-to-use guides online. The StakeBox website offers more guidelines on these custom branded stakebox. Currently, I found out about 48 custom branded StakeBoxes up for sale on their website and when you buy a Raspberry Pi that is customized for staking a given coin, you avoid much of the hard work in set up guidelines such as compiling the wallet to be able to run and stake on the RPi, although you still have to do a few things such as installing latest wallet file for the crypto, encrypting the wallet, and then unlocking the wallet for staking. It is hard to miss an option even if you are a beginner in crypto looking to starting staking as a way of earning passive income in crypto. Most of these StakeBoxes cost less than 100 bucks. Therefore, look out for PIVX Stakebox and StakeBoxes for many other coins. StakeBoxes are also portable, consume low energy, and very practical economically. The second option is suitable if you already have a RPi although you can still buy an ordinary RPi and do the set up on your own. It will save you some bucks. And away from StakeBoxes, with a self-set up for a staking Raspberry Pi, you can set it up to stake more than one coins or tokens or around 2–4 PoS tokens/coins at the same time, which allows you to earn more, at a low cost. Setting up 2 or more coins to stake on a Raspberry Pi (Model B / Model 2 or newer) depends on how memory optimized your wallets it. If a wallet such as that of PIVX requires more than 1GB of RAM to perform stably at peak, especially when staking, it is recommended to set a 1024Mb swapfile for your Raspberry Pi. Without a swapfile, the wallet may crash and the copy of blockchain get corrupted by RAM. A swapfile with 2048 MB can be used to buffer the peaks and here is a guide on how to set up the swapfile for PIVX. To set up for 2 or more coin staking, all you need is a minimum of 8GB microSD Card, USB Stick (8 GB for 1–2 blockchains, 16 GB+ for more), SD Card Reader & Raspbian installation, computer with PuTTY and a wallet installed & synced on your computer. 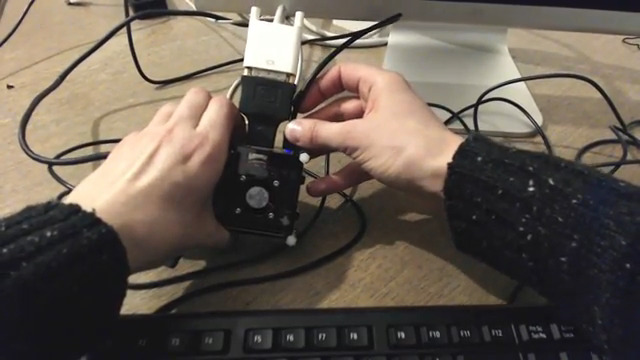 Am not going to repeat the instructions given by MonkaS here, but all you need is to first set up your Phore wallet on the Raspberry as secondary device to stake on 24/7 instead of running your computer. Follow this guide for Phore wallet set up. You then enable SSH and VNC from the Start icon -> Preferences -> Raspberry Pi Configuration -> Interfaces; then set up swap file as mentioned earlier of according to MonKas guide, install independencies, install the wallet (based on Phore wallet v1.2.2 or find latest ARM (Raspberry) version here if the version changes or alter Github code release of your coin), create Symlink, then start the wallet, and create a bootstrap/blockchain backup. 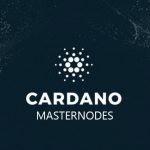 Most important you have to ensure to update the masternode configuration copy it from your computer if you are using Raspberry to stake and run a masternode, otherwise the machine will stake your MN collateral and your masternode will stop working. For staking WSP coin on a Raspberry, look at this tutorial: First of all, the project team calculated the total annual electricity costs of running a Wispr node on an average PC, laptop and Raspberry Pi in The Netherlands and guess what? They found out that running a Wispr node on a Raspberry Pi is 114 times cheaper than on an average PC and 27 times cheaper than on a laptop. To get started, you need Raspberry Pi 3 model B +, 8 GB+ (get especially the 16 GB) MicroSDHC card Class 6 or higher, Micro USB cable for RPi or the original RPi charger, (Cat 5) Ethernet cable or USB WiFi adapter, USB keyboard, monitor + HDMI cable. You download the latest wallet without need to compile it yourself, and then set up the Raspberry Pi by installing the latest Raspbian image and installing a tool that lets you install or flash the IMG files to an SD card eg Etcher, and writing or flashing the image on the SD card. You can also add a file ‘ssh’ on the SD after flashing the image if you intend to connect and monitor the RPi via PC or laptop for headless installations. 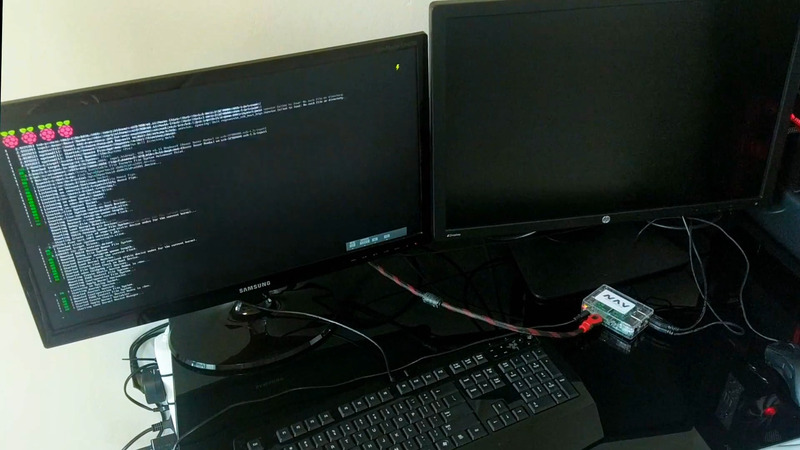 Otherwise, this process is not needed if you intend to keep the keyboard, mouse and monitor connected to the RPi. Eject the SD, start the RPi and connect it to WiFi. If intending to operate the RPi via your computer PC or laptop, then find it via Ethernet during this set up. You then use PuTTY, an SSH client to configure it. You then install the wallet and add and run your node. The guidelines for staking PIVX on a RPi are on this link, and there is a forum for the same, online. You basically need to download the latest build for RPi2 wallet binary, and do some set ups on the RPi as is the case with staking WSP. Guide on staking Neblio crypto on a RPi is on this link: You basically need to download RPi OS, exctract it on SD card, and run the software from the SD card. You then download the latest version of the User Interface Pi Neblio wallet and transfer your tokens there and leave them for 24 hours to mature for staking. You then back up your wallet and then unlock the wallet for staking. Staking NAV coin on a RPi can be done based on these guidelines. You have to flash the NavPi v1.0.6 image or burn the image into SD card and then set up the wallet for staking. Remember, you can opt to buy ready made NavPi StakeBox that come with pre-installed Nav Coin Staking Software at StakeBox.org for just $100 then use these guidelines for setting up the StakeBox for NAV. You only need to have it, send coins on the wallet and start earning. The StakeBox includes a screen or HDMI cable, 16GB SD Card, power supply, mouse, and keyboard. Other coins to stake and which I found guidelines about using Raspberry or have custom branded staking Raspberry from StakeBox include Qtum, Decred, Stratis, Peercoin, BlackCoin, BitBay, VeriCoin, CloakCoin, Neblio, Reddcoin. Raspberry Pi being cheap means you need less amount of money to invest in each of these operations that can earn you passive income, plus consume low amount of energy in the rate of 4 dollas per year depending on your local electricity rates. Through this guide, we aim to provide important information to become aware and find out best alternatives you can use to reduce energy bills while running masternodes, hopefully you can find most profitable masternodes to run on a Raspberry starting with list about masternodes that are online, and this one about their ROI. It is not hard, once you know the Raspberry meets the minimum requirements for running masternode for various crypto, you can calculate the ROI using variety of tools. Of course, using a laptop than can run SSD instead of HDD, integrated graphics instead of a dedicated graphics card will still cost more money than buying a Raspberry, without mentioning that a laptop has a higher energy consumption compared to Raspberry. For those considering Raspberry for running crypto masternode, the hardware is capable of running all kinds of masternodes. There are many testimonials of how who and who is managing to run a masternode on his Raspberry Pi and you can start with this link and search for more online. 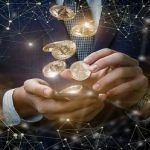 Thus it is something that is being practiced and is working and profitable in some cases depending on the coin, your circumstances and electricity costs may be. Even if it were not, one problem with technology is not in the "doing it" but "knowing to do it and understanding to do it." So being able to do it at home may still be a choice for many many non-techs and tech gurus even if it generated just little profit. RPi is also smaller and lighter than desktop and portable compared to desktops and you still can leave it operational while having disconnected any keyboard, mouse, and monitor from it. Therefore, when using Raspberry to run masternodes, you do not have to carry the monitor alongside a keyboard and the CPU. You can choose to do "headless" style where the CPU is connected to power and internet and works without the monitor. You just leave it working alone. To do this, you can even use HDMI-capable TV as a temporary monitor. Once it is connected to the monitor in the initial set up, assign it a static IP address and enable SSH and VNC, then connect it to the internet. Enabling SSH requires keyboard and HMDI. Then go "headless" by disconnecting the monitor. Once connected to internet, you can then monitor the RPi CPU using a regular PC either on PuTTY (command line) or VNC Viewer (if you need GUI access) or monitor it online and check if you are receiving the rewards correctly. Of course, that's beside the VPS that you can buy at $5 monthly and which is adequate for most coins with staking, mining and masternodes. Does the Raspberry Pi meet requirements for running masternodes? Masternode for most coins will do with a minimum of 1 Core CPU for VPS although the more power there is, the better. Thus a 2 Cores CPU is recommended. The minimum RAM memory size is 1 GB (2GB vSwap RAM) though 2GB is recommended. A bandwidth of 3TB is recommended though you can do with 1TB on the minimum end. You can also set up multiple nodes, which needs multiple IPv4. You would also require publicly accessible static IP address since each masternode connects to others, with each of them requiring unique IP address. With Raspberry Pi 1, you get 512MB of RAM which may not be enough to run a masternode, but Raspberry Pi 2 has 1GB of RAM shared with the GPU, enough to run PIVX and other masternodes as well. Raspberry Pi 3 has 1GB LPDDR2 shared with the GPU and 4× ARM Cortex-A53, 1.2GHz CPU. The Pi 3 B+ model has 1.4GHz 64-bit quad-core processor CPU, 1GB of RAM and GPU. It can also support masternodes for most crypto. The Pi 3 board costs around $35 and plus the accessories, you can afford it for less than $50. Unfortunately the architecture does not support 4GB of RAM which is not very good news for anyone running masternodes and willing to upgrade later. Of course the Raspberry Pi 3 B+ is the latest and who knows when the Pi 4 could be out with better features for those watching the wishlist? You can look at more details regarding how to select a Raspberry computer here. One option of running masternodes is to host them on VPS if you decide to not run them on PC or RPi or other machines at home. When you host via a VPS the coins are much more safe than with a PC. It is usually recommended to run via VPS because masternode needs a staticIP address and to run without any interruptions, which may not be possible with home connections because most of them are connected to a dynamic IP address. Network goes down when IP address changes and the node may require to start over and you lose payments because of that. Even if all that was possible, your local IP, which is exposed to all over the internet, may expose your coins to danger. The other thing is that a personal home computer may spend more on electricity bills more than the price of a VPS. But which crypto can you run masternodes for using a Raspberry Pi? PIVX has some guidelines for those intending to run masternodes on a Rasberry Pi 3 as long as you got some computer/networking basics. You basically send coins to the wallet you create and then encrypt and create a backup of your wallet. You then do some settings on the router, Putty and do SSH set ups as described on the guidelines. You may need to check for any changes because the guide was written almost two years ago. Remember, now you may not need to do compiling with some versions of RPi operating systems. 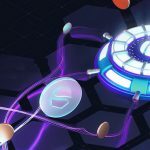 There are also some guidelines on setting Gravium masternodes on a Raspberry Pi 3 here and they state that although it is not the most efficient hosting solution for their masternode compared to a cheap VPS, it can be a fun project. Thus you can get machines to earn better with their masternodes and may expect little profits with a RPi. But the set up is not as complicated; you install a local wallet on your machine, deposit the coins required to run the masternode (1000 GRV) while adding some transaction fee, then send 1000 GRV to the created receiving address called MN1 and wait for confirmations. From the debug console, you then get to save transaction id and didgit for the transaction. You also get to save the masternodeprivkey that will be used to link your wallet to your masternode, set up masternode.conf file for your local wallet for values you saved, then enable masternodes tab and restart the wallet. The next process is to set up your Rasberry Pi 3 making sure your router forwards port 11010 to the Pi IP. The next process is to SSH into your raspberry using PuTTY/kitty or some other ssh tool. If you are a Bitcoin user or are using other systems such as Dash, you can use the ROKOS (or ROKOS Flavors for other systems like Dash) an operating system which is based on Ubuntu and designed to make it quickly to run a full node on a Pi. Check further details on Rokos on this link. Rokos can be installed on a SD and is used to connect and disconnect a node easily. You can leave it to run continually with the wallet having no coins. Using ROKOs Flavors is said to be more secure for masternodes than even storing keys to, for instance your 1000 Dash collateral in Dash Core on your regular computer. To set up a masternode using Rokos Flavors on a Pi 3 for Dash, install the software -- which supports Raspberry Pi models Zero, 2 and 3. You then flash a copy of ROKOS Flavors compressed image on the SD, login into ROKOs, change password, set up and run Dash Core via Rokos, then set up a masternode. Here are further guidelines on the same. Here are guidelines on setting STRAKS masternode on a Raspberry Pi 2 or a Ubuntu 16.04. And because running masternodes today can prove to be expensive, you can try out multi-tiered masternodes from Divi where the lowest to stake right now is around $100,000 worth of Divi tokens. The project uses the Masternode One-Click Cloud Installer for quick installation and set up of masternodes, which is simpler than setting up other masternodes. Mining is still an important method for those crypto enthusiasts willing to obtain some coins or tokens at a lesser fee than buying them from an exchange although buying during ICO is great for investors. It is possible to find out crypto that are supporting CPU mining but there is still a catch: energy usage is still high. The Raspberry CPU is first of all cheap compared to desktops dedicated for mining and has a low energy usage. But what would it take to mine on a Raspberry Pi device and how would it look like? For most people who are without tech knowledge on setting GPUs, mining rigs, Raspberry mining, and the nitty-gritty of it, cloud mining should be your to-go-to option. One of the most important concerns about mining is high energy consumption,which also sees you parting with several hundreds of dollars and reducing ROI. With 4 dollars equivalent of power consumption on a Raspberry hardware,you have a higher ROI. You then include $5 monthly VPS hosting, which is adequate for staking, mining and running masternodes for most of the coins. We are not saying that a Raspberry is the best mining machine: no, it may possibly not even be profitable for mining Bitcoin and most altcoins or could generate very little profits of the tune $0.2 per day. And you know there still are GPUs and mining rigs that will outperform it in magnitudes in terms of mining and computing power for whatever other reason you would want that power for. Also, as you may be aware currently, home-based solo mining has some serious draw-backs. You may stay a while before successfully winning a block or never or may need to invest in a very expensive hardware to increase chances of finding a block or successfully mining it. What we are saying is that a RPi it may be considerable for mining in some set of conditions and situations as discussed below. Setting up yourself to mine any crypto on Raspberry doesn't require knowledge in nuclear physics: all you need is a neat do-it-yourself (DIY) endeavor and there are numerous guides on how to do it. Plus, the Raspberry manages huge cost-savings for mining your crypto -- with its low cost power consumption; and you get a good size portable machine that you can leave operating for 24/7 while disconnected to the rest of the peripherals and doing nothing; you may not want to leave a high-end CPU PC running throughout for power consumption reasons or any other reasons. So we have crypto prices down right now and now may not be the best time to invest in a mining rig or high-end mining device unless you want to buy it at an affordable price now and get started when crypto prices show greater signs of recovery. A Raspberry can be profitable (can generate very low profit) for mining some but not all cryptocurrencies that utilize PoW algorithm. You can also use ASIC miners plugged into the Raspberry Pi to mine cryptocurrencies such as Bitcoin. Thus, it can also be used to mine Magi, Storj, Bitcoin, Monero, and Bytecoin. For those considering Raspberry, Pi 3 B+ is the most recommended for mining crypto. Mining Bitcoin with Raspberry Pi won't generate profits because of the huge difficulty of mining. It may require you to add USB Bitcoin miner ($20-$400 USD) in addition to having a pool account and wallet. You can follow this guide to set up; basically you download the latest Bitcoin client, create a wallet and sign up with a mining pool, which makes it possible for one to contribute computing power with other miners in the pool and to share into mining profits generated on the pool. For mining Bytecoin, Magi and Monero on a RPi -- which may also not be profitable -- follow this guide: you need the Pi, wallets for each case, CPUminer software and MinerGate account. Register with the MinerGate or other similar account, install the Raspbian using NOOBS and connect the RPi through PuTTY to install the dependencies as per this guide and then change password: For Storj, RPi can be your very good mining companion because the crypto requires more storage and uses proof-of-retrievability: it pays miners for renting out storage for data on their devices. The guidelines are also described in this link. In most cases, the Rasp mining will be counterproductive as we said, or if it generates profits, they will be very minimal: Otherwise, it can also be used to mine cryptocurrencies that are easier to mine including VeChain Thor, Monaco, Golem and Neo. New coins also have friendlier algorithm and lower mining difficulty and are therefore also suitable to mine on Rasp. You can read this guide on how to mine Monero on a Raspberry Pi 3. You can also check this guide regarding mining Steem using a rig built with Raspberry boards. 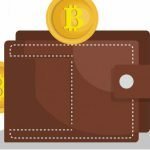 What is a Staking Wallet?